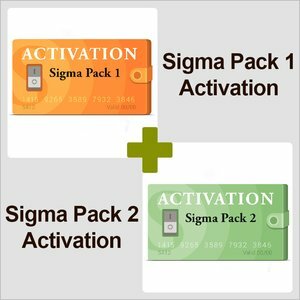 Pack 1 Activation for Sigma enables direct unlock and repair IMEI features for the latest Motorola TI smartphones along with unique Yoda method of unlock/get unlock codes for the newest MTK-based Motorola, Alcatel, Huawei, ZTE and Lenovo smartphones *. Pack 2 Activation for Sigma enables service features for the latest Qualcomm Hexagon smartphones *. Every Sigma owner can activate Pack 1 and get access to this particular and future features, which will be introduced in this Pack. 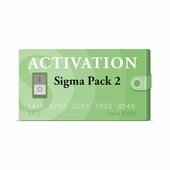 Every Sigma owner can activate Pack 2 and get access to this particular and future features, which will be introduced in this Pack. Click on "Activate Pack" button. Activation would be completed immediately. Please Note: These particular Activations can be used with Sigmakey Dongle or Sigmakey Box only.